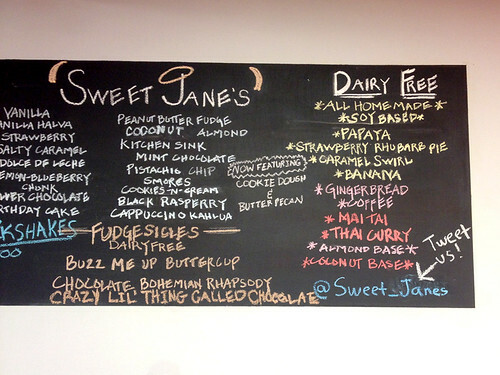 Sweet Jane's Frozen Desserts just opened a few weeks ago, but I have already stopped by many times. They have regular dairy-ice cream as well as dairy-free flavors - all homemade and organic! Gingerbread, Chai, Chocolate Raspberry, Strawberry-Rhubarb Pie, and Strawberry. All delicious! 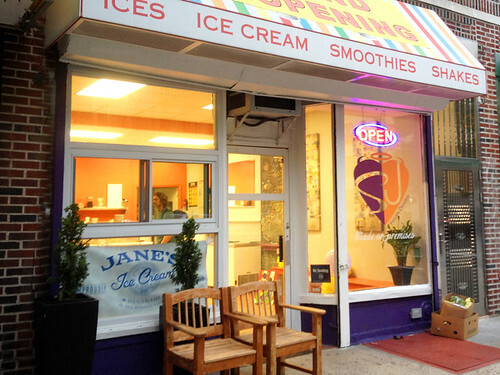 And the best part: This ice cream shop is just a couple blocks from my apartment. I can walk there in less than three minutes! Complete dream come true. I have every intention of stopping by ice cream at least twice a week for the rest of the summer. And you should come check it out too! Super jealous! We have several places that offer vegan cheese pizza in Memphis, but we don't have any ice cream shops with vegan options! :-( I want a vegan ice cream shop!! Nice showing so far: both in cones and nail polish! It's truly difficult to resist! The only thing that keeps me from eating it every day is I often work such long hours and have so much else going on in my life after work each evening that I often don't get home until after the ice cream shop is closed. lol.